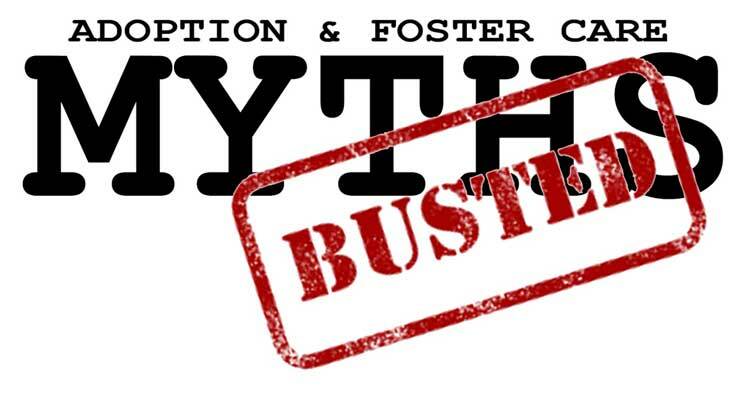 It is not often that foster care is portrayed in a positive light in the media or for it to get attention in a film with such well-known actors and a director (Sean Anders) with so many hit films. However, this film was written by Sean Anders because he and his wife actually adopted a sibling group of three from foster care and wanted to correct some misconceptions about adoption and “give people an honest look at what adopting kids can really feel like.” We wondered how parents in WV who have experienced what it is like to adopt children through foster care would perceive the film. We asked a couple families to watch the movie and then share their thoughts by answering a few questions. What did you dislike or wish they had handled differently? The bio-mom case was too simplistic her being capable but choosing to just not take the children back. That isn’t the norm and was extra cruel. Did any element of the movie remind you of your own foster or adoption journey? Lots of moments… I could find me in the movie and even my children. My husband said that’s so me. The parts where they struggled to continue on were so real. Would you recommend the movie to someone considering foster care and/or adoption? Yes it’s a solid start especially if you are just considering the idea, that maybe you might want to foster. I do want to add it may not be great for all foster children. It could bring up emotions and memories they you aren’t wanting to trigger at a movie. What did you like about the movie? We liked everything about the movie, Instant Family. It reminded me of the ups and downs of the process. The family reminded me of our family. It truly shows what happens during the foster and adoption experience. Some family members were super excited while others were not. We had the same experience when the kids come in with little belongings and trash bags it is real life. My son nudged me. When the kids want the boxes instead of the gifts, my son did the same. It broke my heart. Also, my favorite part was the parents marking the kids height on the wall like we do. There were a lot of similarities. My son wants to see it again. What did you dislike or wish they had handled differently? What I wish they had handled differently was the language in the movie. There is a lot. The parents also become upset and call the kids names and want to return the kids. That was harsh but it happens. I can honestly say my husband and I were scared and felt the same in the beginning. It's hard to admit but it was scary. Did any element of the movie remind you of your own foster or adoption journey? Every element of the movie reminded me of our adoption story. It was like I WAS the actors and this was my family. The excitement, fear, emotions. Would you recommend the movie to someone considering foster care and/or adoption? I would recommend this movie to anyone and everyone. It's a great family movie, feel good movie and perfect for someone considering or even on the fence about fostering or adopting. It is real life. You build a bond with these kids and the workers and the other families just like the movie. There wasn't a seat left in the theater, nor a dry eye. At the end of the movie everyone clapped. One of the best movies I've seen. It seems that overall this film was successful in portraying an accurate picture of what it is like to foster/adopt. While this is a movie and can’t accurately portray all of the real-life situations that can occur in real life, we hope it inspired viewers to consider providing foster care. There are nearly 7,000 kids in foster care in West Virginia right now and there is a dire need for more loving and safe families to provide them with care. If you’ve ever considered foster care/adoption please email fosteradopt(at)missionwv.org or call 866-CALL-MWV. Have you ever received an unexpected gift or a fun package in the mail? Did it lift your spirits? It most likely did! You can create this type of joy in the life of a child in foster care by providing care packages. There are youth in foster care who are legally eligible for adoption and waiting to be matched with a loving forever family. They especially need to know that there are people who care about them and are “looking out” for their best interest. Our workers get to know these kids and their likes/dislikes and can work with you as you create care packages that are unique like the child who will receive your gifts. In addition, you can exchange mail through our office with the child you are matched with and they will often send thank you cards or other messages back. What’s involved in the care package program? As a Care Package volunteer, you or the group of people who sign up will agree to send care packages to the child you are matched with. These packages should be given to the child for their birthday, Christmas and a 3rd holiday chosen by the volunteer(s). While we cannot provide the location of the child or details about their history, you will receive the child’s name, birthday, grade in school, age, their interests, their favorite foods, sport teams, books, movies and hobbies. When your care package is ready, deliver it to Mission West Virginia and we will give it to the child. How do I sign up for the care package program? This is a great volunteer opportunity for individuals, families, businesses or clubs. If you or a group of people would like to be matched with a child, email fosteradopt(at)missionwv.org or call 304-562-0723. After you have been assigned a child to send packages, you or someone from the group will sign an agreement that for one year you will provide care packages for a child in care. If the child you are providing for is matched with a forever family, we will match you with a new child. When a child experiences a crisis of parenting that leads to him or her being removed from the home, complex trauma has occurred. Complex trauma occurs through repeated and prolonged exposure to trauma-inducing situations, most of which take place in a care-giving situation. This type of trauma has adverse effects on school success, even when there aren’t a lot of outward signs that the child is traumatized. Among the possible negative effects are, delays in all areas of development; higher drop-out rates; lower academic achievement; higher suspension rates; higher rates of referral for special education and emotional symptoms of trauma can negatively impact concentration and memory. Like a needle on a record player, complex trauma wears a groove in the brain. So when something non-threatening happens that reminds us of a traumatic incident, our bodies replay the traumatic reaction—mobilizing us to either run from or fight the threat, while shutting down other systems that help us think and reason. If this happens over and over, we become more easily triggered into a fear response mode, never giving our bodies time to recover. For a child in a classroom, something as simple as the teacher raising their voice or accidentally getting bumped by another classmate can steer that child into this groove. As a caregiver, you have already taken the first and most important step in helping a child overcome trauma—you have removed the child from the toxic environment and provided love and safety. Attachment - Be sensitive; create clear and concrete safety plans with the child; allow children to tell the story of the trauma they experienced; maintain usual routines; promote family activities; remind them repeatedly that they are cared for and be sensitive to even minor transitions which can trigger feelings of trauma. Regulatory (self-control and positive choices) - Help expand their “feeling” words so they can easily express themselves; give them choices to regain a sense of control and anticipate challenging situations and provide additional support. Competency (building skills) - Engage them in activities that stimulate the mind and body; praise the child publicly and discipline privately; keep high expectations but provide many resources to achieve; constantly encourage and support - this creates confidence and greater success; be patient and manage expectations - don’t demand perfection. May is National Foster Care Month! We are so grateful for the families who provide safe and loving homes for kids in foster care, the workers who do all they can to positively improve the lives of kids in care and of course, we care very much for all of the children in the foster care system; each one going through their own situation and in need of adults they can depend on. 1. Spread the word - Blog, tweet, share FrameWorks’ post on Facebook! Tell people about National Foster Care Month and the increased need for more foster families in our communities. There are more than 6,000 children in foster care in WV and there is a huge need for more foster/adoptive families. 3. Donate to the Carry-On Campaign! Garbage bags are not an acceptable form of luggage for youth in foster care, donate new luggage and hygiene items! We can connect you with a donation drop-site in or near your community. 5. Write a letter to your local newspaper or an elected representative. Let them know about the challenges facing kids in care, the need for foster families in WV and encourage them to be supportive of foster parents. 6. Offer discounts – do you own a business? Offer a discount to families who provide foster care. You could do this during the month of May or all year! Let us know and we will share the information with families! 7. Organize a fundraiser – do you sell Scenty, 31 Bags, Pampered Chef or other items? Donate a percentage of your sales during the month of May to a nonprofit that works with kids in foster care. 8. Recruit foster parents - ask friends, church members, coworkers and people in your community to become foster parents. Team up with Mission WV to hold an Information Open House in your community. 9. Get your kids involved! Consider having your children volunteer with organizations that provide for the needs of kids in foster care. They can collect new toys and hygiene items for kids in the system. 10. Get involved with a local agency! Contact a local foster care agency and ask them how you can help. They are often in need of community members to get involved, don’t know who to call, ask us and we will get you connected to an agency! How do I choose a foster care agency? Have you thought about becoming a foster parent? You know there is a great need for more foster families in West Virginia, but you aren't sure where to start? Taking the first step in your foster care journey might feel like a "leap in the dark," but we are here to help. You might wonder if becoming a foster parent is right for you and your family. Maybe you have a lot of questions about what it means to be a foster parent and you aren't sure what will be involved in the process. Mission West Virginia is here to assist families who want to learn more about fostering and adopting. We can mail or email you our information guide and talk with you on the telephone or chat via email to answer any questions you might have before you take the next step - choosing a foster care/adoption agency to work with. Once you've decided to move forward, we can work with you as you choose which agency is the best fit for your family. In West Virginia, there are 11 agencies that provide foster care and adoption certification services. With our information guide, you will receive a list of agencies that serve the county you live in. We will also provide a list of suggested questions to ask an agency when you contact them. You may want to ask the agency about their office locations, their upcoming training schedule and services provided to families. The basic certification process includes an application, training, and a homestudy. A homestudy will consist of completing paperwork, interviews, a safety check of your home and criminal background and child abuse clearances. The worker will generally visit your home two to three times and the timeline can vary from family to family. To get started, give us a call today at 866-CALL-MWV or send us an email: Email FrameWorks We look forward to working with you as you begin your journey to help kids who are in need of the love and support of a parent and safe home. Preparing your home for kids in foster care. Are you preparing to become a foster parent? Recently, a parent we are working with reached out and asked for advice on setting up a bedroom for the children who will be staying in their home. 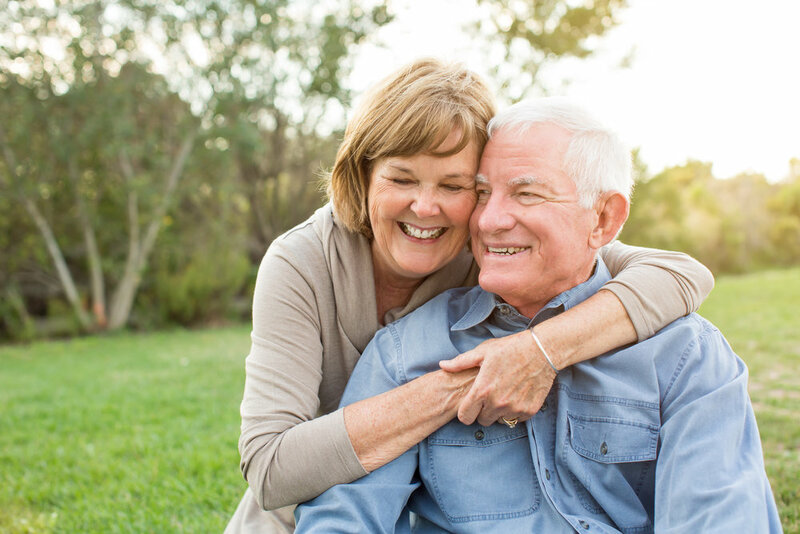 Our family liaison put together a list of suggested items according to age range as well as some general advice and tips for putting together a bedroom. Here you will find that list and below is some great advice that we hope you will read – especially the part about including your family, friends and community in your foster care journey! Also, if you click the button below you can print this list for printing or keeping on your computer for easy access. Download the list here: Items for foster parents to have on hand. To start gathering items on this list, you could share this list with friends, family, co-workers and/or church members and ask them to help out. They can volunteer to buy specific items and can also provide clothing items as their children grow out of them. Not everyone is prepared to do foster care but they want to help and this would give them a great opportunity to support you and the children in your care. Another idea to keep from becoming overwhelmed is to shop at garage sales, consignment stores, etc. where you can find items at a lower price. When others donate items, you can keep them in large plastic totes labeled by age range and gender. Another idea is to keep items in a special dresser or chest that is easily accessible. It is also a good plan to have comfort items on hand, such as stuffed animals, blankets and pillows and pillow cases. Some groups have donated handmade pillow cases to our luggage program and we think this is a great way to make a child feel welcomed. You can keep a shower caddy or bag of toiletry items on hand to give them when they arrive – this way they have something that is theirs and they don’t have to worry about asking for shampoo or a toothbrush, this helps make them feel more comfortable as they adjust to being in a new home. Some families also keep a tote or space for food, too. Snacks like crackers, popcorn, fruit snacks, cereal, peanut butter and mac and cheese are easy foods to store and keep for when kids come to your home hungry. It is also smart to have items in the freezer that are easy and quick to fix and provide a warm comforting meal – examples include chicken nuggets, corn dogs, french fries, personal sized pizzas and chicken pot pies. If you are wondering what type of bed you should get, a twin size bed is enough but of course it can be bigger if that is what you have on hand. If you will have small children staying with you, you might want to pick up a rail that fits on the side of the bed to keep them from falling out. This way, you don’t need to keep a toddler bed on hand. For an infant, a crib is ideal but a pack-n-play is also a good idea to get you through the first night or two while you find a crib. We hope these ideas don’t overwhelm you, but are helpful as you think about what items you may or may not need for providing foster care in your home. Again, we highly recommend that you turn to your friends, family and community for support as you prepare to take on the task of helping children in need – this will include them in your journey and you will be uplifted knowing you have support along the way.